NEW YORK (WABC) -- The Yankees have had some time to clear their heads after three benches clearing brawls on Thursday. The inevitable suspensions have been announced by the league, and there is one positive to take from that ugly afternoon in Detroit: one heck of a rally cry. "Continue to fight together, that's it," said Joe Girardi after the game. "Fight together on the field and in everything we do." If there isn't a banner hanging in the Yankee clubhouse on Friday that says "fight together," someone's not doing their job. Girardi was as fired up as we've ever seen him in his tenure as the Pinstripes skipper, and rightfully so. Even a couple of Tigers admitted they could understand why the Yankees were upset. 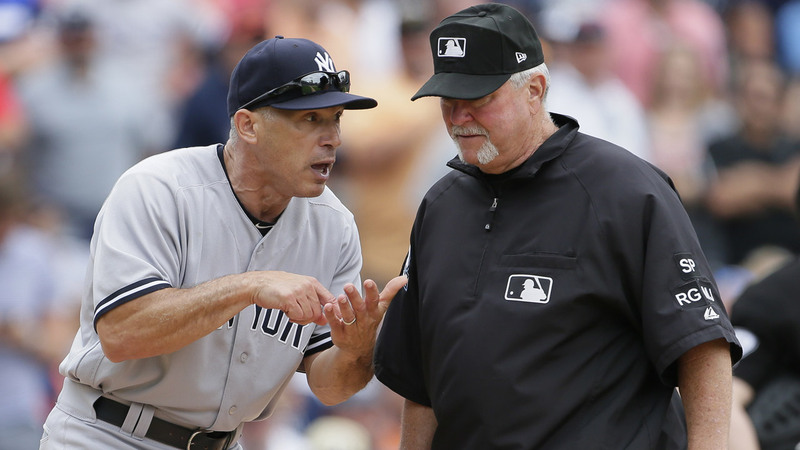 Girardi put most of the blame on the umpiring crew for not warning both teams after Michael Fulmer hit Gary Sanchez with a pitch in the fifth inning -- "if that's not intentional, I don't know what is." He also didn't mince words about the incident behind the plate between Miguel Cabrera and Austin Romine. "Cabrera went after him and you're gonna throw my catcher out for protecting himself? I mean, pay attention." Now who's to blame for the brawls is open for debate, but one thing is for sure. Girardi went to bat for his players after that game and you better believe they heard him loud and clear. They might have lost the scoreboard battle in Detroit on Thursday. However, this is the Yankees and we all know the war isn't over until they've hung another banner in The Bronx. Come October, they'll look back on this game as a bonding experience that produced the rally cry in the hunt for number 28.